From Traditional Martial Arts to the more contemporary MMA styles, our Dojo is the ultimate training ground for people of all fitness & skill levels. Start my Back to school special class! I want to get started now! Start my Back to school special class! With the event of Mixed Martial Arts becoming mainstream in the media, more and more people are looking to Martial Arts & Self Defense classes as an alternative to the usual gym and fitness routine. At Segal's ATA Martial Arts we have been training and teaching in Martial Arts since way before the media hype, and we proudly bring forth this tradition to the new generations of martial artists by offering a variety of classes from Traditional Karate to Jiu-Jitsu & Krav Maga. WE OFFER CLASSES FOR MEMBERS OF ALL AGES, SKILL & FITNESS LEVELS, IN A NON-INTIMIDATING FAMILY-ORIENTED, TEAM ENVIRONMENT. Martial arts is a great solution for those looking to get in top fitness conditioning and relieve stress. Learning to defend yourself is just one of the great benefits of training in martial arts. Aside from the great bonding experience that comes with training in a team environment, the mental benefits are a great solution to the daily pressures that jobs, school & family life often cause. Whether you are interested in physical fitness, self-defense, or even just an athletic social outlet, our school is a safe and positive environment, providing a fun activity-driven atmosphere where those with common interests can join together in physically rewarding and mentally challenging activities. 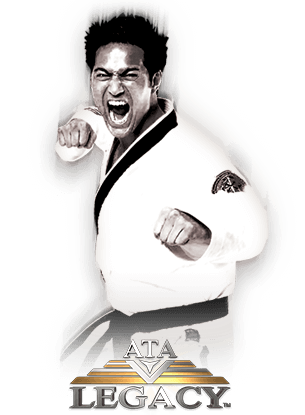 ATA X-treme is a combination of techniques, methods of movements and philosophies from all martial arts styles. It incorporates elements from all martial arts styles, athletic disciplines, and the performing arts. This includes gymnastics, acrobatics, dance, break dancing, hip-hop, and performance arts - acting, theatre, live performance and street performance. It's not only about punching and kicking, or jumping and flipping, but more showing strength through the mind as well as the body. To stand planted with your feet on the ground and command the attention of the audience without sound or movement, using only the look in your eyes and the strength of your stance, actually shows more power than any punch, kick or flip. THAT'S XTREME!!" Get in great shape while learning realistic self-defense. Bring your fitness level, confidence and self defense to their fullest potential. Through a reality-based self-defense program that is quick and easy to learn, you will develop your ability to defend yourself and your family. Our 20-minute Warrior X-Fit workout will have you sweating in minutes and EVERYONE in any shape can do it. This program is open to ages 16 and up with parent permission and a great program for women and men. Do you have the desire to make a long-term career in the martial arts? Are you in a profession that would benefit from enhanced leadership skill training? Have you mastered the ATA Leadership Program and are looking for that next level in developing yourself into a life changing leader? The ATA Legacy Program is the top level of training the ATA has to offer and will take the physical and mental skills a student has to new heights. Not only will students train and grow, but they will learn how to pass that knowledge on to others and create their own Legacy. It is the perfect blend of personal development and physical training specially targeted for the elite student. This is the easiest way you can try our martial arts classes! Take advantage of one our web specials, it's as simple as entering your email and contact information and you will receiving your trial voucher via email. We can't wait to meet you!